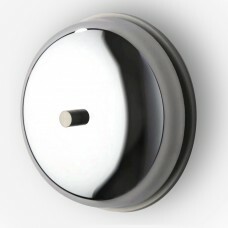 Exceptional doorbell: -perfectly formed hemisphere -highly polished surface with silver mirror ..
Doorbell transformer with mutiple voltage function (DIN VDE 0551 part 1 EN 60742). 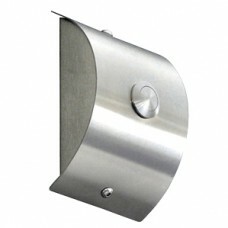 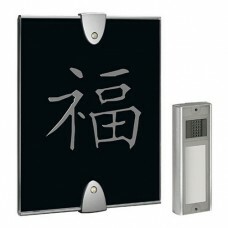 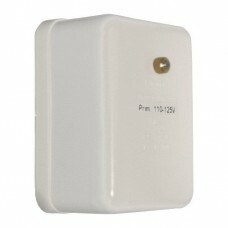 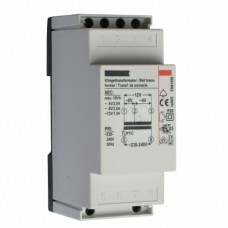 Touch protecti..
Doorbell transformer buried mounting diameter 80mm/3.15" tested and certified: VDE 0551 wi.. 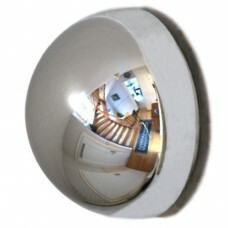 This doorbell is a memory of the begin of the past century brought into our time. 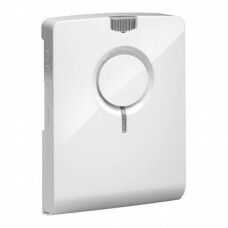 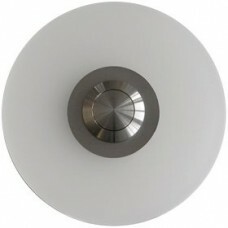 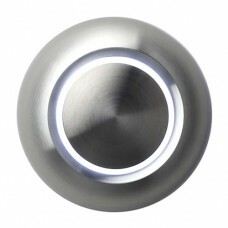 An exact sound, a..
diameter: 78mm/3.07" height: 12mm/0.47" depth of installation: 7mm/0.28" Bell push button ..
dimensions: 75mm x 105mm (2.95" x 4.13") height: 36mm/1.42" completely made out of brushed s.. 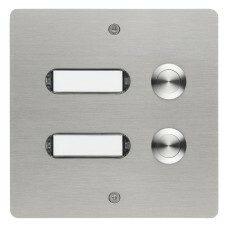 Programmable doorchimes with hifi sound and slot for SD card. 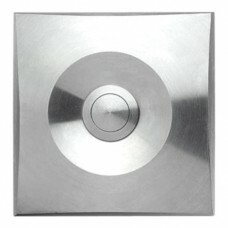 Best function and brilliance in sound.. 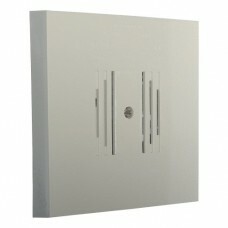 The deluxe radio chime with a huge range. 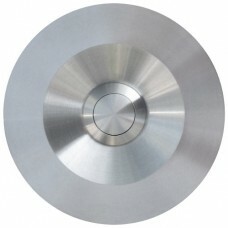 Satisfies the utmost requirements for functionality and i..
dimensions: 75mm x 180mm (2.95" x 7.09") height: 45mm/1.77" completely made out of brushed s..
sidelength: 75mm x 75mm (2.95" x 2.95") thickness: 2mm/0.08" depth of installation: 10mm/0.39" ..
dimensions: 80mm x 50mm (3.14" x 1.97") thickness: 2mm/0.079" depth of installation: 10mm/0.39"..
dimensions (WxH): 120mm x 135mm (4.72" x 5.31") thickness: 2mm/0.079" depth of installation: 10..
diameter: 80mm/3.15" thickness: 2mm/0.08" depth of installation: 10mm/0.39" brushed stainl..
diameter: 75mm/2.95" thickness: 3mm/0.12" depth of installation: 23mm/0.91" grinded stainl.. 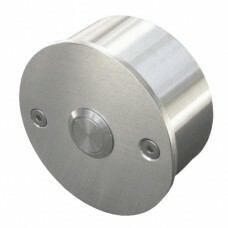 This bell push bridges the gap between modern and traditional design. 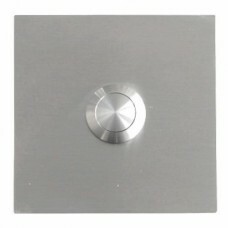 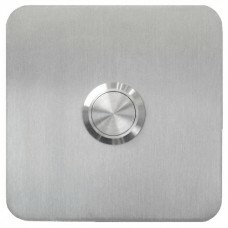 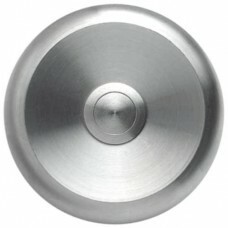 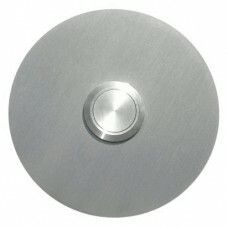 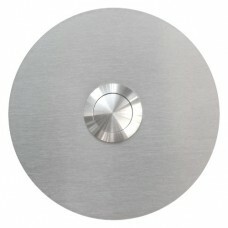 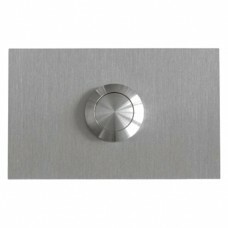 An all-metal push button is..
diameter: 75mm/2.95" Height: 35mm/1.38" grinded stainless steel Bell push button in the ce..
dimensions: 75mm x 75mm (2.95" x 2.95") thickness: 3mm/0.12" depth of installation: 23mm/0.91" ..
diameter: 80mm/3.15" height: 15mm/0.59" brushed stainless steel Bell push button in the..
sidelength: 80mm x 80mm (3.15" x 3.15") height: 15mm/0.59" brushed stainless steel Bell..
diameter: 80 mm/3.15" thickness: 5mm/0.20" depth of installation: 10mm/0.39" 4mm/0.16" acr..